Rochea genus are half hardy perennial sub shrubs that reach about 60 cm in height. 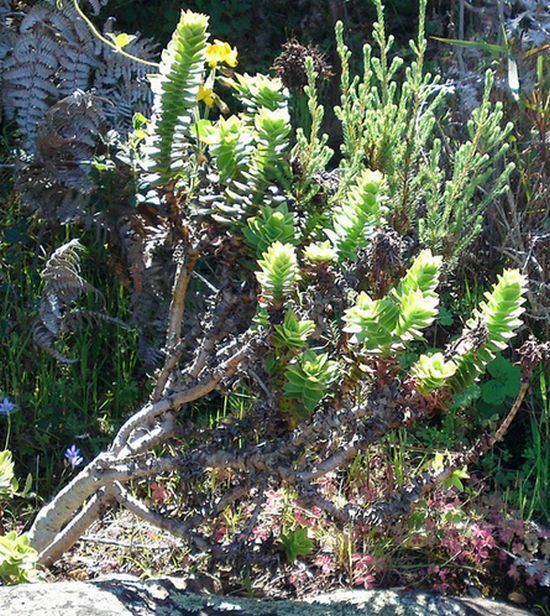 Members of this genus have recently been reclassified into Crassula. Therefore Rochea coccinea becomes Crassula coccinea. Rochea bloom from spring to autumn and carry tubular fragrant flowers; these that may be Yellow, pink, red or white. As a member of the Crassulaceae family, Rochea are closly related to the Sedum genera. 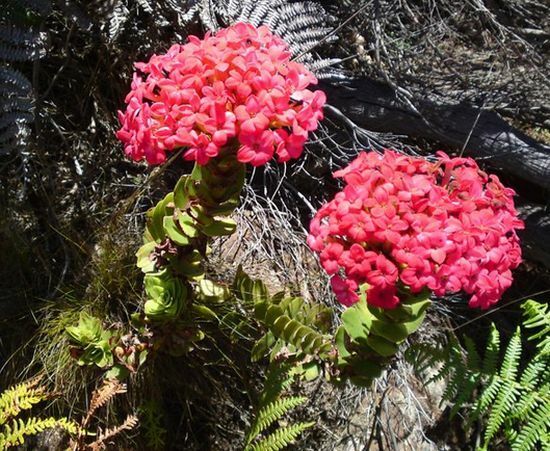 Rochea coccinea/Crassula coccinea, both photographs by Marius Coqui. Common Names: Jade plant, Money tree, Friendship tree, Lucky plant. Height: 14 to 84 inches (35—180 cm). Growing Region: Zones 9 to 10. Often grown indoors (especially Crassula orbicularis). Flowers: Winter, Some species from spring through to autumn. Flower Details: White, pink, red, yellow. Umbels. Fragrant. Foliage: Succulent. Obovate green leaves. May turn red upon exposure to strong sun-light. Sow Inside: : Germination time: two weeks to two months. Temperature: 60 to 70°F (15—21°C). Seven or eight weeks in advance. Transplant outdoors well after the last frost when temperatures do not drop below 50°F (10°C). Spacing: 12 inches (30 cm). Requirements and care: Full sunlight. Dry, sandy, coarse soil. Fertile. Consider growing in containers and bringing indoors over the winter in cooler areas. Cut back the shoots to about one inch (2.5 cm) once blooming has completed. Propagate: by taking cuttings of about 2.5 inches (6 cm) in the spring. These should be maintained at around 60°F (15°C). Miscellaneous: The Rochea genus was a small genus of 11 African succulent plants that have now been reclassified into the larger 200+ member Crassula genus. Commonly used indoors as an house plant. The seeds of Rochea should be sown on the surface in spring or summer. Rochea prefers a fertile, sandy and dry soil and should be grown in a sunny area of the garden. If staring off indoors do so about seven weeks in advance. The Rochea seeds should take from two to seven weeks to germinate at a temperature of 15 to 20 degrees Celsius in the light. Transfer the young Rochea plants at about 30 cm apart in the middle of spring. Once growing it is a good idea to pinch back the tips of young Rochea plants as this will encourage branching, leading to a bushier plant. Once flowering has occurred cut the shoots back to about 3 cm. 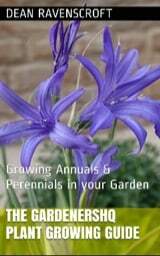 As they are half hardy perennials it may be necessary to bring the plants indoors in cold climates. If you need more plants then they can be propagated by taking cuttings that are about 6 cm long in the spring. Rochea cuttings should be grown at a temperature of 15 degrees centigrade, and the soil kept slightly moist.